It’s hard to turn a profit when you run a courier company, food delivery service, or any other kind of business that sends employees out to meet with customers. On top of the usual business expenses like taxes and wages, you also need to pay for gas, car insurance, and vehicle maintenance. These expenses can easily eclipse your revenue if you let them. Today, let’s explore how a route mapping software help you save as well as earn. Technology is the key to keeping your revenue above your expenses. 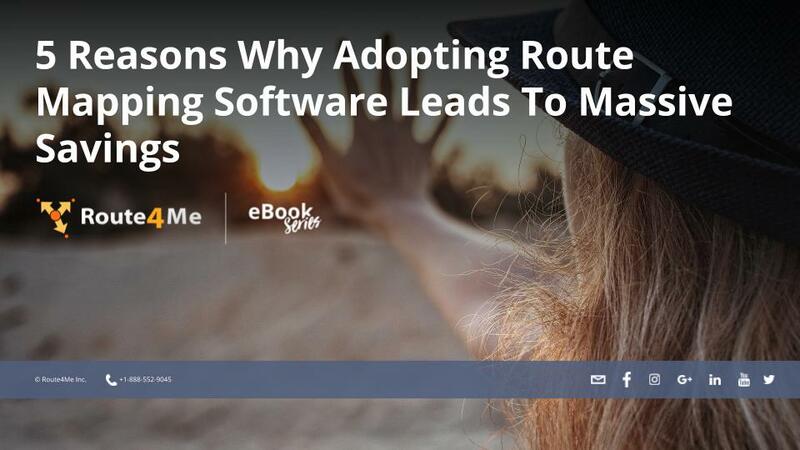 By adopting route mapping software, you’ll save a fortune on fuel. You’ll also make your employees more efficient, which leads to improved customer satisfaction. In addition to figuring out the best directions to give your drivers, you also need to account for traffic, weather, construction, customer availability, and other factors. It’s easy to make a mistake or two when you plan routes by yourself. You’ll probably end up forcing your drivers to cover longer distances than necessary to complete their routes. Route planning software can cut travel time by up to 30%, so you’ll be able to cut a third of your fuel expenses. Planning routes with pen and paper can take a long time. If you have dozens of customers and multiple drivers, it can take hours. But when you have route mapping software, planning routes only takes 30 seconds. All you need to do is plug in the addresses of your customers, customize the settings to fit your specific situation, and then you’re good to go. Of course, optimized routes won’t do you much good if your drivers don’t actually follow the routes you give them. That’s why you must make sure that the route planner you invest in has a GPS tracking feature. GPS tracking shows you where your drivers are in real-time. You’ll know which drivers deserve promotions and which drivers need a little more training (or discipline, if necessary). This allows you to get the most bang for your buck out of your payroll dollars. Download this eBook for the rest of the items.